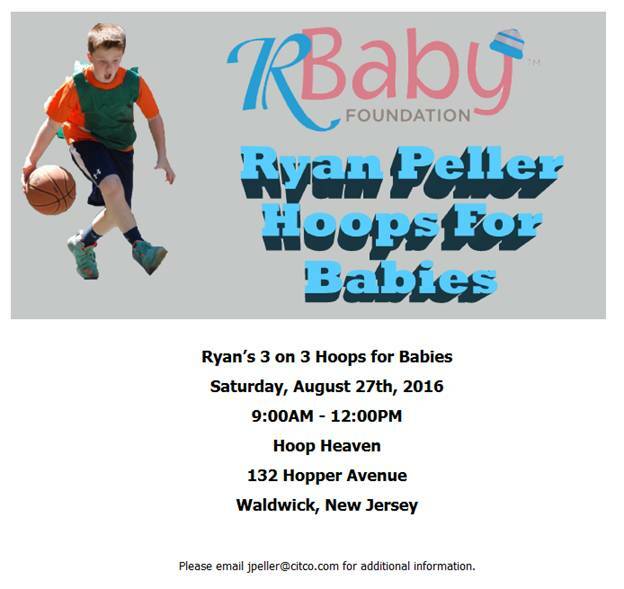 On Saturday, August 27th, 2016, Ryan Peller will be hosting his Mitzvah Project, Hoops for Babies, in Waldwick, New Jersey. The event will be held at Hoop Heaven from 9:00 am- 12:00 pm This fun 3-on-3 basketball tournament will help raise funds and awareness for R Baby. To sign up please visit here.